Molluscum lesions (skin abnormalities) and warts are often confused by medical professionals and the people who develop them, but there are at least as many differences between them as there are similarities. They are both caused by DNA viruses (the molluscum contagiosum virus, or MCV, and the human papilloma virus, or HPV, respectively), are usually benign, and often diagnosed based on the appearance of symptoms. They can spread themselves if they are damaged, such as by scratching or shaving (as this frees the viruses and gives them an entryway into the skin), and are spread by skin to skin contact or contact with a fomite (object carrying the virus following contact with infected skin). As with molluscum papules, when warts are found in the genital area, warts are most likely to have been sexually transmitted, though it is still possible that they were contracted through non-sexual means. This is most common in adults, and a possible (though far from certain) indicator of sexual abuse in children. Although it is rare, it is possible for mothers to pass both types of virus to their baby at birth. The incubation period (time between contact with the disease-causing particles and onset of symptoms) is two weeks to eight months, similar to MCV's incubation period of two week to six months. They are both treated by curettage (scraping off the lesion), cryotherapy (freezing off the lesion), acids, podophyllin (a substance that caused skin to loosen then fall off), imiquimod (which is not effective for everyone) or, in the case of individuals with weakened immune systems, immunotherapy (enhancing, weakening, or otherwise using the body's immune response to fight a disease). 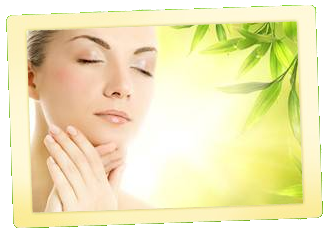 These treatments do not destroy the entire virus from within, they simply heal the lesions. As with molluscum contagiosum, warts are more common in children since their immune systems are less developed. While the molluscum papules (raised skin bumps) are caused by a pox virus related to smallpox, MCV, warts are caused by HPV. Warts are often found on the palms of the hands and the soles of the feet, while molluscum lesions rarely are. The molluscum papules tend to occur in the genital area when they are found in adults whereas warts are found everywhere and anywhere on the body, including the palms of the hands and the soles of the feet. Unlike molluscum contagiosum, genital warts are dangerous as they have been linked to several types of cancer, particularly cervical cancer. Warts can be prominent or flat, round and smooth or verrucous (as if "carpeted"), while molluscum papules tend to be more uniform in appearance, being very round, usually 2 to 5mm in diameter, with a dimpled centre filled with a white core that can be squeezed out. When molluscum papules disappear, that means that the virus is no longer in the body, whereas HPV remains after any warts have healed. In most cases, however, HPV resolves itself within one to two years. Warts are sometimes treated with chemotherapy, whereas molluscum papules are not.